For business and legal documents, we offer Malay translation services at the click of a button. Our Malay NAATI Translators are highly skilled and experienced in providing high-quality NAATI translation of documents. No wonder we are Australia’s choice for Malay translations! With over hundreds of documents translated every year, all translated documents have a 100% acceptance rate by authorities requiring NAATI translated documents. So, why not try our Malay translation services today? To get started, simply fill in our enquiry form, and we’ll email you an exact quote within 15 minutes. Our customer service representatives are available 24/7. 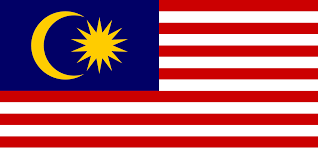 In the 15th century, Malay became popular after it started to be used as a trade language by the Sultanate of Malacca. In this period, it was heavily influences by Arabic, Persian, Hindi and Sanskrit languages and played a significant role in developing the Malay language’s current form. Malay is written using a Latin alphabet called Rumi. Jawi, a modified form of the Arabic script is also used. However, Rumi has been declared as the official script of Malaysia and Singapore. Malay uses measure words, a type of words found in Burmese, Bengali, Vietnamese and Chinese. These are used for measurement but the literal English translation is inaccurate. Take for example, ‘butir’ which is used for measuring grains and has meaning of ‘rounded object’. For a FREE quote, complete the enquiry form located on this page. We’ll email you a detailed estimate within 15 minutes. Does your immigration office or law firm handle immigration applicants from Malay speakers? Do you need NAATI certified Malay to English or English to Malay translations? Our team of project managers and Malay NAATI translators are fully trained in all legal documents for all kinds of official purposes and available 24 hours a day, seven days a week. 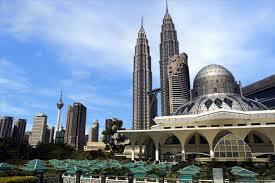 Our Malay translation services start at $69.00 and may vary depending on the schedule, availability, and language. On average, our Malay NAATI translators can finish a Malay translation in 2-3 business days. If you are in a hurry, we can translate your documents in as fast as 2 hours with our Express and Instant Malay translation services. Simply inform us of your deadline when you complete the enquiry form on this page, and we will get back to you in 15 minutes. For translation of Malay documents into English, the majority of 1 page documents used for immigration purposes are deemed as ‘standard documents’ and are priced at a flat rate per document.Please note that the pricing below is indicative only. Get an exact quote by completing the enquiry form on this page and we will email you in 15 minutes. Are you looking to be involved with an up-and coming Malaysian market? Or are you in need of translations for your legal documents, engineering manuals, immigration document and marketing materials translated from Malay to English or English to Malay? Whatever Malay translation services you need, we can accommodate all your projects and finish them in 2-3 business days. If you need your Malay translation sooner, no worries! OPAL Translation can handle your needs and meet your deadlines. To get started, fill in the enquiry form on this page, and let us know when you need your documents. We will email you a firm quote within 15 minutes. Translation of ‘non-standard’ documents are priced at a per 100 word rate. The pricing below is for indicative purposes only.